Many of our customers have specific questions about our professional maid services. Here are just a few of the frequently asked questions we hear at Cleaning Company. Simply contact us by phone 0741 444 1797 , by email or order form. Does someone have to visit my house before I can book a cleaning? Absolutely not! You will need provide us cotrrect information of your property layout and conditions of property. 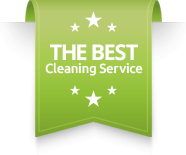 You can get a quote and book your cleaning online. It takes about one minute. Cleaning supplies are included for cleaning session. This ensures your cleaner uses the products professional. However, our Staff are instructed to use only our cleaning product and equipment on customer premises. However, if customers request for our staff to use their equipment J&D House Services shall not be liable for any loss or damage as a result. What if I'm not happy with my cleaning? Please get in touch with us right away and we’ll make arrangements to rectify the situation. We have a satisfaction guarantee that we stand by. CAN I GET A SAME-DAY BOOKING? We don’t guarantee same-day bookings. But, depending on the day, we can often meet this requirement. DO I HAVE TO BE HOME FOR MY CLEANING? It’s completely up to you. If you’re not going to be home, make sure you let us know how to access your house by putting the information in your customer dashboard. DOES MY CLEANER ARRIVE AT THE EXACT TIME I BOOK? Yes, most of the time. However, we allow a one-hour window due to traffic and weather circumstances. In scenarios where your cleaner will be late, you will be contacted to let you know. ARE THERE NAY COMMITMENTS OF CONTRACTS? No, you can cancel service anytime without any penalties. You don’t have to commit to any contracts or pre-determined number of appointments. Here’s a listing of what gets cleaned in every room of your house during a standard cleaning. You can also request extra items via your customer dashboard. DO YOU PROVIDE THE SUPPLIES? We offer a range of services from weekly cleaning to one-time cleaning to move-in and move-out cleaning. You can see the different services by visiting the front page and clicking on the “Services” button halfway down the page. HOW MANY CLEANERS DO YOU SEND? Only one/two cleaner(s) is sent to your home. If you’re on a recurring schedule, we’ll do our best to match you with the same person going forward. ARE CLEANING COMPANY CLEANERS SCREENED? Absolutely. The cleaners go through a screening process that includes a police background check, reference checks and in-person interviews. We also require significant experience in residential house cleaning to work with us. Our service is fully guaranted! If there are any concerns from the landlord or estate agent, photos are taken to provide proof of the clean.If there is anything left not cleaned througt human error, we will be more than happy to come back and rectify this free of charge! Invetory checkout must be caried out within 24 hours of the completion of the clean, and any shortfalls reported within 3 days /72 hours of the clean! Our comprehensive end of tenacy cleaning program satisfies 100% of our customers/agents/landords. Is Oven cleaning included in your end of tenancy cleaning? Yes, professional oven cleaning is included in our end of tenancy cleaning service, as well as cleaning of all other appliances; washing machine,dishwasher, microwave,toaster, fridge. Do I have to defrost my fridge and freezer in advance? Please make sure freezer is defrosted one day in advance, as if it not, it will cost an extra £30 to defrost quicly. Do you clean windows externally? We can clean externally at an extra fee, if there is safe access to them, this is not included in standard end of tenancy cleaning service.. Yes, we provide all cleaning materials and equipment needed for the clean. Is the carpets and upholstery cleaning part of the end of tenancy service? Vacuuming only of carpets and soft furnishings is including in the standard end of tenancy cleaning shedule, professional carpet and upholstery cleaning is also availible at an extra fee. What do you use to clean carpets? Do you clean blinds as part of the end of tenancy service? Yes, the cleaners can dust the blinds as part of the service, however deep cleaning will cost £15 per blind. Do you wash paintend walls? No, we do not wash painted walls, we only dust them and remove cobwebs. However we can offer repaint the room will cost extra. What time slots are availible? Cleaners starts at either 08:30 or 12.30pm Monday to Sunday subject to availability. How many cleaners will turn up on the day? The end of tenancy clean teams consist of one to three people. All our end of tenancy cleaners are fully insured and trained professionals. We have public liability insurance up to 5 milion.